Sekumpul Waterfalls is one of the best waterfalls in Bali the name of a village that has 7 magnificent hidden waterfalls situated in the serenity of a valley in Singaraja, northern part of Bali. 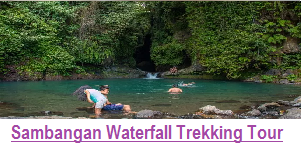 It is truly the most beautiful waterfalls in Bali Island that offer the fascinating panorama of waterfalls surrounded by the fertile and green jungle with peaceful atmosphere. There 7 waterfalls available at this site but only 2 of them can be visited by tourists. The height of the great waterfalls is around 80 meters. 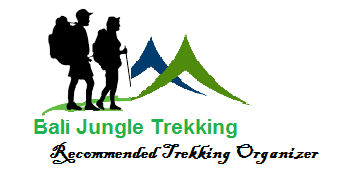 It is very challenging to walk on down or up trekking to the waterfall through a path way with wild bushes, deep down step and crossing river with 1 meter deep of water. There is a gazebo available before we trek down to the river to enjoy the fascinating scenery of waterfalls and hear the sound of waterfall splash from a distance. Where the location of Best Waterfall in Bali ? The exact location of the waterfalls is in Sekumpul Village, Sawan district, Buleleng Regency, northern part of Bali Island. 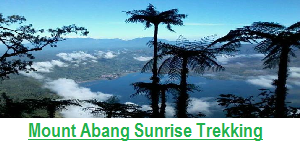 It is situated more or less 76 kilo meters from Denpasar city and 25 kilo meters from Lovina, the capital town of Buleleng regency. 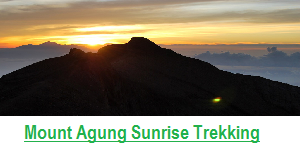 It takes around 3 hours drive from Denpasar. It is recommended to go through Sekumpul Village when you visit these waterfalls. This way you will go for a bit long trekking journey via a cemented path and continue to trek down through hundreds of steep steps as well as crossing a river. Considering the condition of the pathway, short pants, T-shirts and Sandals or trekking shoes are recommended to wear during your journey to these waterfalls. Why this waterfall is the best waterfalls in Bali ? For tourists who are interested to visit these splendid waterfalls and enjoy trekking adventures as well as swimming, the best time to visit is between 9 a.m. to 3 p.m. 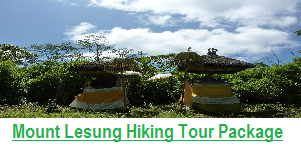 However, morning trip will be more fascinating while enjoying the beautiful natural environment on trekking adventure activities. If it rains, the road will be slippery, so that you must be more watchful to pass through the slippery footpath. If you would like to visit Sekumpul waterfalls, it is recommended to contact local travel agencies. Only 2 waterfalls that have continuous supply of water so that only those two are worth visiting. Meanwhile, the others depend on the rainy season. What is unique of Sekumpul Waterfalls is the different color of water during the rainy season where one waterfall will have clear water meanwhile the others will be muddy or brown-colored. It is because the water sources are different where one of the waterfalls is supplied from a spring meanwhile the others are from a river. The public facilities at this site are still not complete yet because it has just started to open for public and appointed as one of the places to visit in Bali. 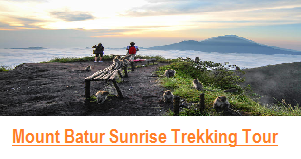 However, your trip will be very exciting by exploring some Balinese housing compounds which are surrounded by Rambutan and Durian trees. 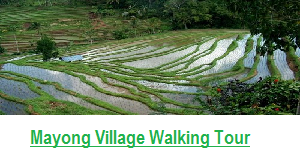 After walking about 10 minutes, you will be able to see the scenery of the rice terraces, green hills and amazing waterfalls from a distance. We need to be a bit strong and fit to walk through the trekking track about 300 meters and hundreds of steep steps down and cross a river with 1 meter deep water. Extra clothes are also recommended to bring. Your tiredness will fade away after seeing these twin waterfalls with the natural sound of water splash to charm you to go for a swim or taking some photos as you like.